A car garage in North Camp is at risk of being run out of business as plans to build a new supermarket on the site gather pace. Jason Brock has run the Mainline Motor Company, which repairs and sells cars, for six years from a rented premises in Netley Street. However, plans to build a Tesco on the site are now afoot, with a proposal submitted to Rushmoor Borough Council last month to take over the building. Mr Brock could be forced to relocate his business but says there are few suitable alternative sites nearby. Among the considerations he will have to make when choosing a new site will be the effect it could have on his motor trade insurance policy, the price of which will vary depending on location as a result of factors like crime rate, the risk of flooding and any safety features the new premises might or might not have. Speaking to Get Hampshire, the garage owner explained that he was warned by the landlord “several months ago” that someone might want to take over the site but heard nothing further until Christmas. 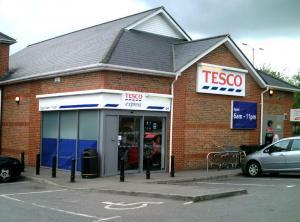 He then received notice that permission had been submitted to turn the conservation site into a Tesco Express. Councillor Liz Corps has objected to the plans, saying: "The three North Camp councillors are not against a Tesco in North Camp, but do not consider this site to be suitable. "It is a residential area and the parking to be provided is inadequate… The site can only take a handful of cars and the overflow will go into surrounding areas." Mainline Motor Company currently has room for 25 cars to park on the site but Tesco’s design would reduce this to just six. As such, councillors are urging Tesco to seek a new site in a more suitable retail location. A decision on the planning application is due to be made by 12 February.